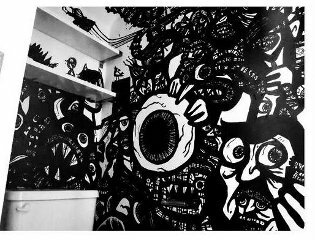 GRAFFITI WALL ART! Hey we sell everything else on the planet why not street art too! 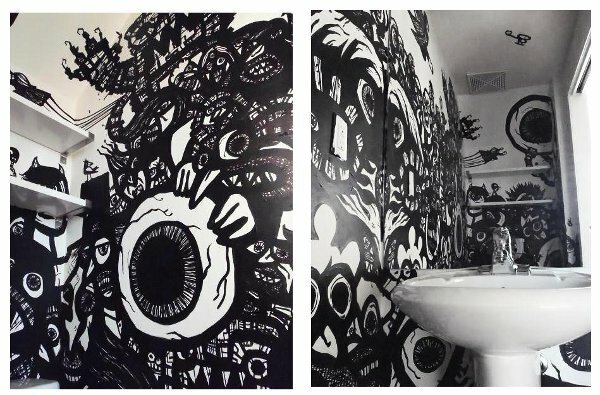 While there are certainly some ethical questions as to whether or not the work looses its credibility once it has been collected and removed from the public forum I find it interesting to create indoor wall murals primarily because the working conditions allow for more intricate and sustainable creations. 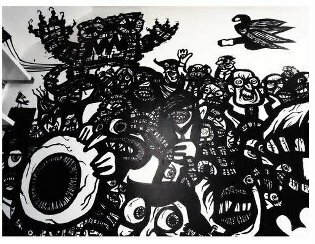 A painting is far less likely to end up with a curse word or some random name spray painted across it when it is inside a storefront or somebody's home. That being said I also really enjoy the fleeting beauty of outdoor artworks too. The fact that street art vanishes almost as quickly as it is made is truly a unique and magical experience especially when one considers the banal fossilization of the gallery art system in which all the works are sheltered, protected and coveted as a monetary investment. In the streets, good work is the purest form of communication however it is wise to determine a suitable process in order to cope with the terrain. Though the streets enable this widespread and inclusive conversation, the treacherous conditions certainly limit the kind of work, materials and longevity one can hope to experiment with. 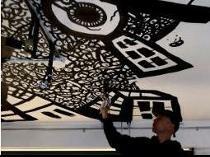 One of my favorite commissioned works so far is the ceiling mural at the longboard skateboard shop . This mural is most dear to me because the artwork is protected from the elements and still a part of the street counter-culture. I try to make works accordingly to various environments in order to best share my strange stories with as many people as possible. 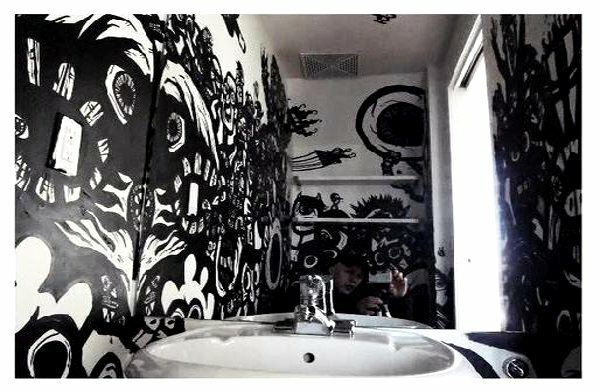 Another exciting work was the bathroom mural featured on this page. 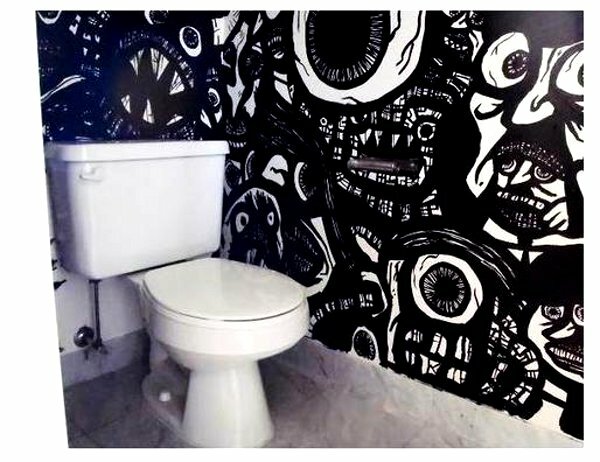 This mural is in a party loft were people regularly gather to enjoy music, drinks conversation and one very strange toilet. Although I have no qualms about bringing my street paintings indoors it goes I really don’t like the idea of removing actual public pieces for resale in the gallery.